All Mulder yachts for sale worldwide are listed below, scroll down to view them. Mulder Shipyard is a traditional family business that has managed to become one of the prominent shipyards in the Dutch yacht building industry. Known for their premium Dutch attribute, long-lasting quality and excellent performance, Mulder has over 75 years of proven accomplishments with many of their first builds still cruising the waters today. 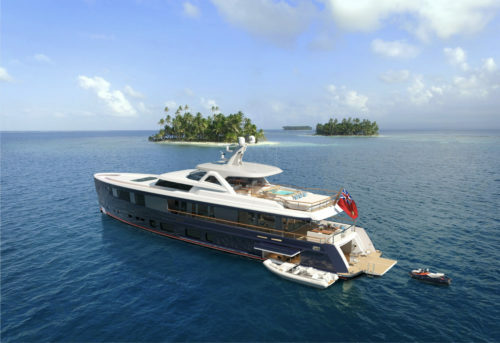 The cornerstone of the yard’s reputation for quality has been built upon three main pillars: the classic Super Favorite Cruisers, the later Favorite Superior and a range of Mulder custom-built motor yachts. The Mulder line consists of motor yachts between 42 feet/ 13 meters and 148 feet/ 45 meters, including the Mulder Favorite, Mulder Convertible, Mulder Wheelhouse, Mulder Flybridge and “Built by Mulder” yachts. In addition to new builds, Mulder Shipyard also offers a wide range of refit, maintenance and brokerage services. Established by Dirk Mulder Sr. in 1938, Mulder remains a family owned shipyard with a Mulder still at the helm, three generations later. Dirk Mulder Sr. started at the yard’s current location in Voorschoten, initially building wooden canoes, rowboats and open wooden sailboats. The 30-foot/9-meter round-bilged sailing yacht called DIMU – designed by Mulder himself – was built in massive mahogany with oak frames. There are still several of these types of yachts, now classics, sailing today. At the end of the 1940’s, the yard built its first steel sailing yacht which started a gradual shift towards steel constructions in the late 1950’s. From 1965, the yard focused entirely on building motor yachts and the Super Favorite Cruiser became a well-known brand in the Netherlands. 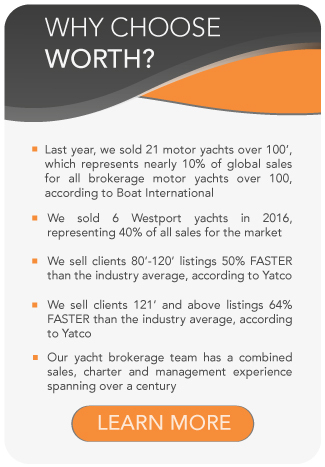 Available in lengths of 27ft/ 8.30m, 30ft/ 9.20m and 33ft/ 10.20m, a new yacht was launched almost every month. Today the Super Favorite Cruisers are considered true classics, and their value has increased many times above their original sales price. In 1984, the yard was taken over by 22-year old Dirk Robert Mulder with Mulder senior enjoying his retirement onboard his own Super Favorite Cruiser. In the late 1980’s, the yard delivered various yachts in lengths of 44ft/ 13.50m to 57ft/ 17.50m named the Favorite Superior. 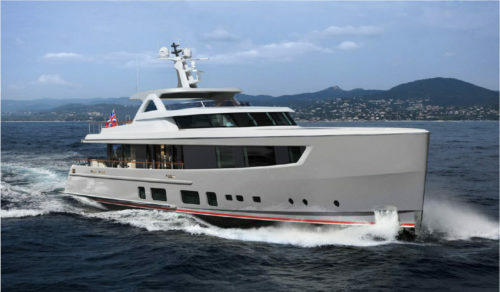 The yard also worked with the A1 Design group to develop several modern yachts under the project name Futura. During these years, the yard built a new construction hall in the interest of increasing production. A second large new facility followed in the early 1990s – enabling larger yachts to be built and the first of these was the Mulder 70 Flybridge. With a length of 67ft/ 20.60m and beam of 18ft/ 5.60m, it had a hard chine steel hull and aluminum superstructure. From this time on, all new models incorporated the name of the yard. In 1998, Mulder Shipyard passed a new milestone with the launch of the Mulder 74 Flybridge, named ‘Best Yacht’ at the HISWA Amsterdam Boat Show in 1998. Since then, Mulder has continued with the Mulder 68 Convertible designed by Guido de Groot, the new line of motor yachts in the early 2000’s, with the Mulder Convertible, Mulder Wheelhouse and Mulder Flybridge, and the Mulder 70 Wheelhouse (a true gentleman’s yacht built in 2003). In 2010, the son of Dirk Robert Mulder, Nick Mulder, joined the yard to assist in the daily operations at Mulder Shipyard. Together in 2013, they opened a brand-new location in Zoeterwoude-Rijndijk, a facility focusing on maintenance, refitting and construction of yachts from 59ft / 18m to 148ft/ 45m. In August 2015 Mulder delivered the 112ft/ 34m motor yacht SOLIS, the largest Mulder to date and the first Mulder to LY3 standards. 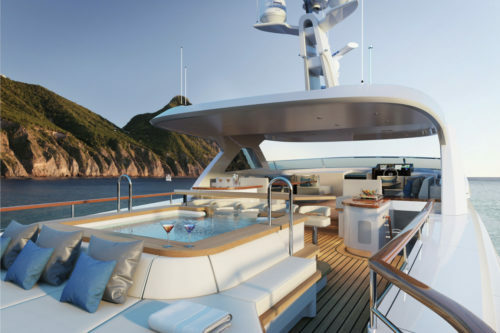 With a gross tonnage of 315, the yacht is certified for unrestricted navigation and has transatlantic range. In May 2016, the m/y SOLIS was awarded with a Neptune at the prestigious World Superyacht Awards. The Mulder 98 Flybridge “A2” together with her chase-tender, the 1,200hp strong Mulder Bellagio “Silver Rabbit”, was delivered to her Owner. The Mulder Bellagio “Spectrum V” was fully customized with specifications such as a lengthened swimming platform, aft sliding door and a Seakeeper gyroscopic stabilization system. The yacht was delivered to the South of France where the Mulder team commissioned the yacht after organizing the transport. The popularity of the Mulder Favorite Series is strongly presented in the yard’s order portfolio. With the delivery of the Favorite 1500’s “Summer” & “Christho” and the Mulder Favorite 1700’s “Annabelle” & “Erminea” in the Summer of 2016, multiple orders have been received during the Summer resulting in five more Favorite yachts under construction. With six new builds under construction, including Mulder’s largest yacht till date: the Mulder ThirtySix, Mulder Shipyard is continuing her strong order portfolio and is looking forward to the year to come.